Lymphedema is a form of swelling that is often noticed when it occurs in the upper or lower limb. The circulatory system composed of the heart, arteries and veins provide nutrition and oxygen to the tissues. Nutrient containing fluid oozes out of arteries and their small branches (capillaries). After nutrient delivery, the fluid picks up waste products of metabolism from the tissues and returns back to the heart through the veins. Some fluid fails to return by the veins and remains in the tissues however. A system of hair thin vessels called lymphatics clear the left over fluid. It is milky looking and is called ‘Lymph’. Lymphatics are connected to a series of lymph nodes much like way stations in a pipeline or electric grid. The minute lymphatics gradually join together to form larger vessels that eventually empty into veins, returning the transported lymph back into the circulation. Lymphedema of the arm or the leg occurs in some patients after the lymph nodes in the arm or legs are removed disrupting the lymphatic chain. Lymph nodes draining the arm are frequently removed in cases of breast cancer. Cancer of the uterus, ovaries or bladder may require removal of nodes draining the legs. By far the commonest cause of lymphedema in U.S. is due to narrowing or blockage of veins. Veins have valves that keep the blood flow going towards the heart. If the valves don’t work properly, see-sawing of the blood may result leading to poor venous circulation. This may also cause lymphedema. Narrowing of the veins or valve problems leads to venous congestion. This increases the amount of fluid that filters out of the veins into the tissues. The congestion also decreases the capacity of the veins to reabsorb the fluid back from the tissues. Initially, this leads to simple swelling of the legs (edema) due to the fluid trapped in the tissues. In time this may turn into lymphedema because the overworked lymphatics transporting ever increasing left over fluid become damaged. Since venous narrowing or blockage is a major cause, this has to be investigated and ruled out. 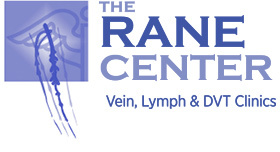 Consultation with a specialist in venous disease is recommended. Venous narrowing or blockage can be treated by placement of stents through needle sticks and catheters. Open surgery is not required. Lymphedema from lymphatic damage or lymph node removal can be positively diagnosed by an outpatient type of test called lymphangiography. A small amount of fluid containing isotopes is injected in the tissue between fingers or toes through very small needles. The isotopes are then absorbed by lymphatic vessels and lymph nodes. The isotopes emit very small amount of radiation like Xrays. The lymphatics and lymph nodes become visible on special X-ray like equipment. Damage to the lymphatic system can be identified by this test. If lymphatic damage is not detected and the test is normal, the problem is not lymphedema but from some other cause, usually venous problems. This test is highly recommended as there is no satisfactory curative treatment for true lymphedema. If this test is negative, the chances are high that the swelling is due to venous problems that can be more easily treated. The main mode of treatment for lymphedema is limb massage and compression stockings. Some physiotherapists and nurses specialize in this form of massage and long term care of patients with lymphedema. Compression machines that try to mimic massage therapy are also available. Prescriptions are required for these forms of treatment.